I know the Wiki Loves Monuments contest since its early days, and I have always been enthusiastic about it. It is a great way to ask yourself: “What can I do to share my interest for cultural heritage?” and to make a real difference by answering with content and tools, not just ideas. Blue markers indicate monuments with a picture, red markers those without a picture. 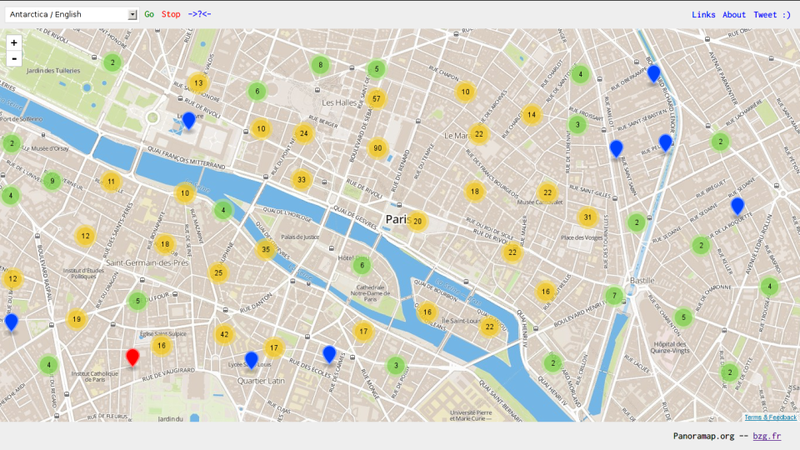 Other areas are clusters for when there are too many monuments in this area: you can reveal each of them by clicking on the cluster. The menu on the top left corner allows to display monuments from a specific country. In this case, monuments are not loaded directly from the WLM database, but from a faster local clone of it. 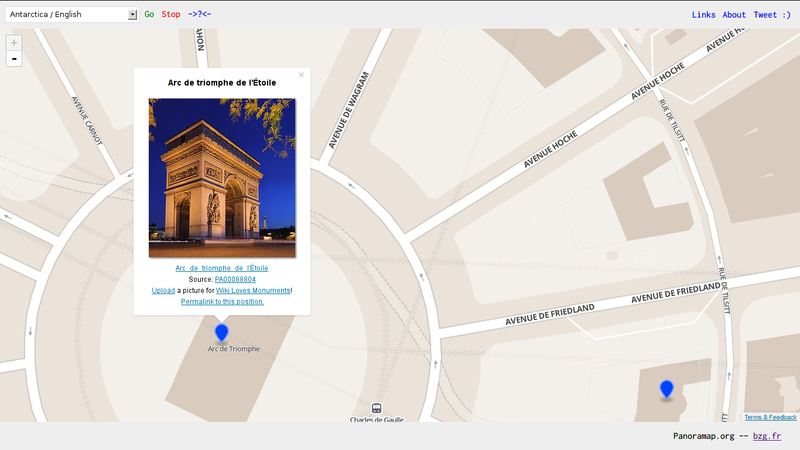 Last but not least, you can share links to countries or to specific monuments. 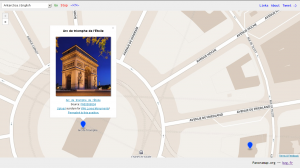 For example, here is the link to display all monuments from Austria, and here is a link to the Triumphal Arch in Paris. Building this tool was fun, thanks to all the feedback I got from the WLM team and occasional users. The code behind the website is free software, you can grab it and contribute to it on github. — Blogpost by Bastien Guerry, an active Wikimedia volunteer and developer.